In Ordinary to Extraordinary, youâ€™ll find this and much more. This book is composed of captivating but true first-person narratives, and it is also an exploration into the meaning of life. 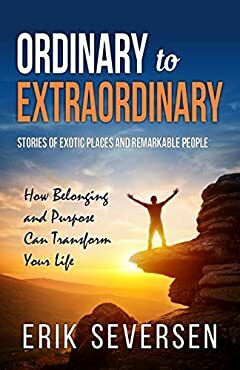 Each story is grouped into one of four â€œpillars of meaningâ€ â€“ belonging, purpose, transcendence, and storytelling â€“ with reflection chapters allowing you to construct the pillars in your own life. Scroll upÂ and click the â€œbuy nowâ€ button and let your adventure begin.